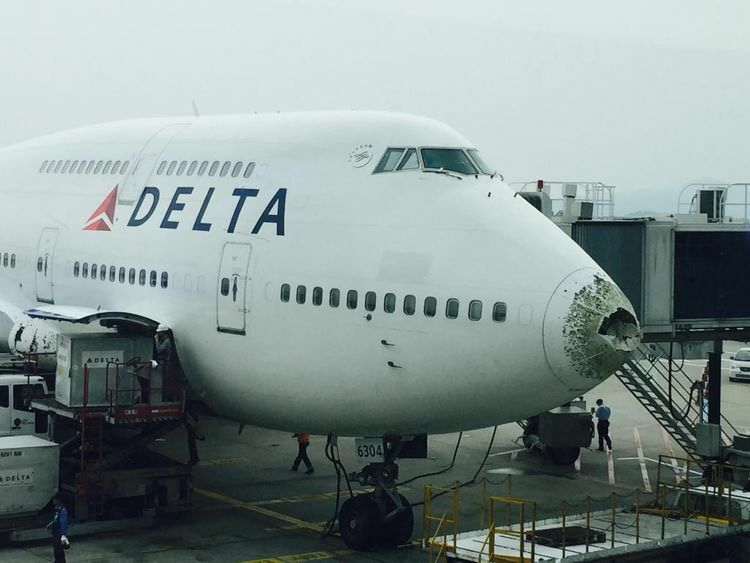 The Boeing 747 taken out of the desert in Arizona to replace the Delta jumbo jet pelted by hail over China, has itself gone out of service, at least temporarily after an emergency landing in Ireland on Friday. Flightaware.com shows N671US back on the ground in Shannon after departing Amsterdam for New York. The St. Paul Business Journal reported a smoke alarm triggered the emergency landing. There were 376 passengers on board. 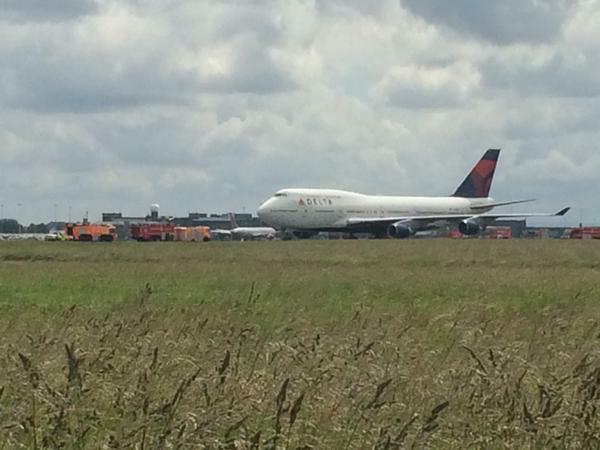 "Wow, just wow," was the response I received from a Delta 747 pilot who has been watching the events unfold. He then turned his attention to me, the first post I wrote on this subject, Can This Airliner Be Saved, and my unfortunate choice of words in discussing the situation faced by the crew of that hail-damaged aircraft. 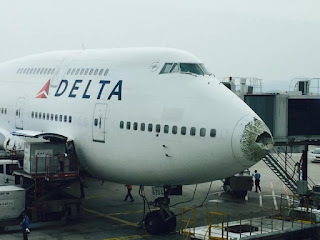 To recap, Delta Flight 159 flew through a hail storm on June 16th, rattling the passengers and riddling the Queen of the Sky. That airplane has been on the ground in Seoul since then while maintenance technicians see if they can repair the damage. 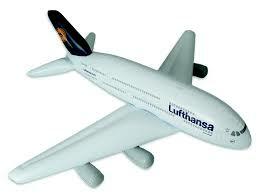 To the question; "Can this airliner be saved?" the answer right now seems to be, "Mebeee." Flying Lessons readers you know that I often opine that judging events based on hindsight can mislead. The pilot with whom the paraphrased conversation below was held, has rightly busted me for doing just that. Pilot: Christine, you write that the pilots flying from Detroit to Seoul opted to fly through a hail storm. The way it is worded it makes it sound like they knew one of their options was to fly through a hail storm and I am 100% certain that they did not expect to encounter hail. Me: Busted, unless Delta is training its pilots to see into the future, you are right, that was not the choice facing the crew. They did, however, see fast-building thunderstorms and their radar confirmed it. 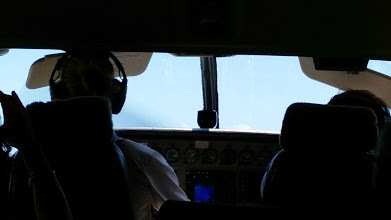 Another Flying Lessons reader tells me, " if you want to reliably find hail, fly through a thunderstorm at altitude." Pilot: To be clear, they did not fly THROUGH the thunderstorm. Their judgment when denied an altitude and course change was that they could top the storm. As the report says, they entered cirrus clouds above the storm. Me: So can we talk about that emergency authority? Since the pilots are in the sky looking at the weather and the controllers are just looking at green dots, why not go back to the controller and have another go at the request? Pilot: Well you have to understand there are other challenges when flying in China. Language is a big problem. The amount of English they speak is limited to controller lingo. Even the basics can be hard to understand and if you stray too far out of the very rudimentary ATC language box they will not know what you are talking about. If I were to ask for a "ride report at FL360" or if there are any "tops reports on the thunderstorm at 12 o'clock and 100 miles", I'm going to hear, "Say again?" ATC in the United States is generally quite aware of weather conditions but in my experience in China they are solely concerned with maintaining separation. Full stop. Me: Hmmm, well I've heard about the language issue, but it's intriguing to have the implications explained to me in this way. Still, there are conditions under which it would be worth it to have that more difficult conversation with the controller right? In this case the crew decided not to do that. Pilot: How many goes did they have to begin with? How many times did they ask for a deviation? How congested was the radio frequency and how often when they wanted to call, were they actually able to break into the radio traffic to make their request? With the radio static and language difficulties, how effectively were they able to communicate with the controller? How wide was the area of weather and how much of a deviation would they have needed to avoid it completely? Was it a matter of just 5 miles left or right of course or would it have taken an off-course deviation of 50 miles? I don't know the answers to those questions and they all factor in to the decision these guys made. And this is happening at a speed of probably 7 miles a minute over the ground. Christine, our preference amounts to a request that is either granted or not by the controller based on traffic conditions. I wasn't there but I can see how climbing over the top of a thunderstorm seemed a better choice than climbing without clearance or turning without clearance and risking losing separation with another aircraft. Me: We don't know what the crew avoided by staying at the assigned altitude. The coulda happened coulda been worse and I'd be writing an entirely different blog post.